According to the 2013 National Drug Threat Assessment Summary, a report published by the Drug Enforcement Administration, cocaine use during the year prior decreased by a shocking 58 percent. Nearly 17,000 kilos of cocaine were seized at the southwest border in 2011, but only 7143 kilograms were seized during 2012. Cocaine rose to popularity in the 1980’s as prices plummeted, and the crack epidemic quickly followed. According to the laws of supply and demand, if cocaine is becoming harder to find today, prices should be climbing. But they’re not. So where is all the cocaine? As with most trends, people new to drugs usually opt for the products that help them rub elbows with high-class sophistication. Craving the glamor promised by drugs, they are swept up in the novelty of designer drugs and are often an easy sell. For example, OxyContin is popular among rich kids, while heroin forever holds the stigma of being used by “junkies.” Cocaine is acceptable by the upper class while crack is mostly associated with crack whores. Cocaine use is down in the United States, however, because of widespread understanding of its dangers. Not only does cocaine carry the threat of law enforcement since the War on Drugs has shone the floodlights on it, people are aware that it is just a nasty drug. Like the people on it, the drug is erratic and unpredictable. Cocaine use may appear to be diminishing, and governments may swell with pride over the fact that their policies seem to be working, but a number of experts say otherwise. When it comes to drug enforcement, it is common to get what is known as the “balloon effect.” This means that when authorities crack down on an area, drug use and distribution seems to disappear, but in actual fact it pops up elsewhere. Like a balloon being squeezed on one side, the content never really disappears, it merely swells out somewhere else. While the War on Drugs may take credit for declining cocaine use, they don’t account for the grass-roots movements taking place across the country. 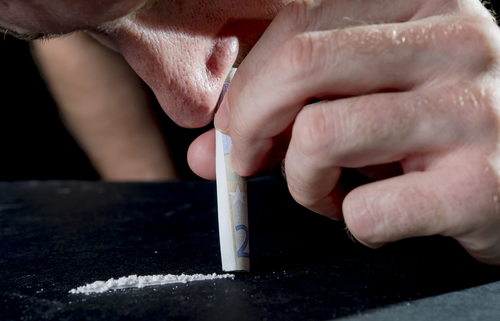 Drug education has taken off since the 1980’s, leading to an increased awareness of cocaine and its effects. People like Lonise Bias, whose basketball star son died of a cocaine overdose in 1986, continue to speak out and inspire others to live drug-free lives. According to Mark Kleiman, known as the “Pot Czar,” cocaine’s plummeting numbers are due to an increased awareness of the dangers of the drug. Social stigma helps, but mostly people are just aware that it is simply a bad drug. While another epidemic may hit the country in a few decades, as is common with the ebb and flow of drug marketing, it will likely take a while for cocaine to re-earn a name as a “fashionable” drug. Let’s hope it never happens.